First thought: Vampires. Second thought: Let me try my best to not go there. Third thought: Well, there is one Vampire Movie I love to death (pun intended), so it will be so. Fourth thought: What about time travel? Does that count? I'm pretty sure Doc Brown is immortal... Fifth thought: That's way too much to think about. Sixth thought: I'll just go with my gut. 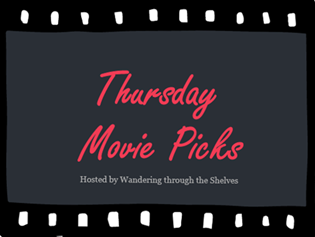 So, it's Thursday, a mild one for June here in East Tennessee with 85 as the high, and it's time for another entry in Wandering through the Shelves' Thursday Movie Picks. This week's theme: Immortals. When Craig Schwartz (John Cusack) gets that crummy job as a LesterCorp file clerk on floor 7 1/2 of the Mertin-Flemmer building, he is greeted by his new boss, Dr. Lester (Orson Bean), an odd but nice old dude with an even stranger secretary (Mary Kay Place)..."Have a seat...Mr. Juarez?" Then, that small door, a portal, becomes his life and livelihood. Then, we see things as John Malkovich (John Malkovich) does. And through him, we throw away love for infatuation and that infatuation turns to another within another and thus becomes love. Then, we find out why this is even a thing. All of this mind-bending brilliance for the sake of one man's quest to live forever. And he's not even a principle character and immortality is just another of an abundance of themes to be found here, like love and infatuation, for example. And I've hardly scratched the surface. And I've spoiled nothing, just in case somebody reading this hasn't seen this hilarious piece of genius. Viago (Taika Waititi) is 379 years old, a real neat freak. Vladislav (Jemaine Clement) is 862, a former torture artist. Deacon (Jonathan Brugh) is 183, the young "cool" guy. And then there's Petyr (Ben Fransham), who is around 8,000, a Nosferatu type. He stays in the basement, for the most part. Together, they form the cast of a documentary about the day-to-day lives of vampire men just trying to make it in the modern world. That should be enough. This is the best (and funniest) take on the immortal lives of vampires ever made. I'm pretty sure Wolverine can be killed. I'm just not sure how. He has metal for bones and can extend razor-sharp claws from his hands and he can heal from any injury. And now, thanks to Days of Future Past, he is a time-traveling indestructible weapon. I think his odds are good, though he didn't turn up in Apocalypse it seems (haven't seen it yet). But he is played by Hugh Jackman to perfection. Easily the most simultaneously likable and badass of the X-Men. I can't get his story straight there have been so many of these movies now, including two just about him, but it doesn't matter. He is badass and most likely can't die, even though he almost did a couple times. Plus, he's got a soft spot, which one wouldn't expect. Too bad his lady bit it. Written by Carlton Cuse, Damon Lindelof, et al. Everybody should see this show, so I won't explain myself. You have to go all the way to the last season for this one. I'm pretty sure Wolverine could be poisoned....I think. I don't know, that's a good pick. I started Watching What We Do in the Shadows the other day, but it was so late and I fell asleep. It was pretty funny from what I saw, I need to finish that in the day time. Haha! I'm sure to poison would run scared. Definitely finish WWDITS. Welcome back Kevin! Nice picks of which I've only seen the last-and Lost of course. Jackman is so perfect as Wolverine and to think he only got the part when Dougray Scott had to bow out due to other commitments. I've put off seeing Being John Malkovich because I'm not much of a fan of the actor and I know its a divisive film but I should just break down and get it out of the way. I've heard the title What We Do in the Shadows but that was about my knowledge of it, sounds intriguing. As your thoughts pointed out at the beginning this theme can go in many different directions which I think will lead to varied picks for the week. Here's what I came up with. The Mummy (1999)-Slightly flaky but endearing librarian Evelyn (Rachel Weisz) with a knowledge of antiquities heads to the ancient city of Hamunaptra when her fun but conniving brother Jonathan (John Hannah) turns up with a trinket that could lead to great discoveries. Needing a guide they rescue Rick (Brendan Fraser) an adventurer who has knowledge of the area and also discover there is another band of explorers heading in the same direction and the race is on. Once they get there they accidentally awaken an ancient mummy who is hell bent on restoring his equally ancient girlfriend to life. Hijinks ensues. Deep? No. Fun? Yes. The Seventh Sign (1988)-Abby Quinn (Demi Moore) and her husband Russell (Michael Biehn) are awaiting the birth of their child, an event of great joy but some trepidation since Abby has lost a baby before. They rent their garage apartment out to a quiet unusual wanderer who Abby comes to believe is there to kill her baby and bring about the apocalypse and seeks to avert either happening. During the same period the Vatican assigns Father Lucci to investigate the various signs that are appearing but Father Lucci has reasons of his own to seek the truth. The Picture of Dorian Gray (1945)-Young and beautiful Dorian Gray mentions to his reprobate friend Lord Henry that he wishes the portrait he has just had painted could age while he stays eternally young and lives a life of debauchery. Inexplicably his wish comes true and he turns into a hedonistic cad who is left unmarked by his callous behavior. Solid adaptation of Oscar Wilde’s story with a touching performance from an impossibly young Angela Lansbury as the ill-fated Sibyl Vane. She scored her second Oscar nomination for it before turning 21, the youngest person ever to do so, a record that still stands. Thanks, man! Glad to be back. I couldn't see anyone but Jackman in that role. Tailor Made. The casting of John Cusack in Being John Malkovich is actually quite genius. He's really good in it, and you should see it just to see the work of writer Charlie Kaufman. Just brilliant. 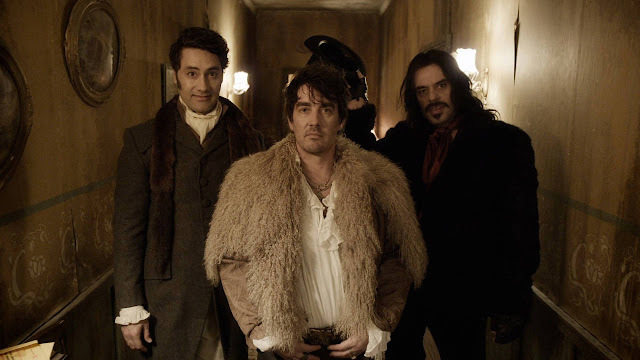 What We Do in the Shadows is one of my favorite comedies of the last several years. Hilarious. I've seen Dorian Gray around quite a bit with this week's theme. Need to check that out. Sounds like a great adaptation. The Seventh Sign is a title I sort of remember but never thought anything of it. Demi Moore never really did much for me, so that might have been the deterrent. As for The Mummy, it's funny...my wife was talking about it the other day after we saw Rachel Weisz in The Lobster. I feel like I should've seen it, as I would've been a teenager when it came out. Just never got to it. I think my wife wants to watch it again, so I'll probably check it out soon. I am way beyond thrilled that you included What We Do in the Shadows. :-) Great post! Being John Malkovich is such a strange film...haven't seen it for a while mind you. Nice pick with Wolverine, he is indeed the most badass of the x-men. Thanks. Being John Malkovich is easily worth a re-watch. I totally forgot Being John Malkovich fit this theme. Great pick. What are Do in the Shadows is a riot. And yes to Wolverine. And Jackman as Wolverine. Thanks. Jackman, man. The best. The vampire one just went straight to my wishlist! Sounds great. I was thinking of adding Wolverine and/or Deadpool to my list as well, but I wasn't sure if they really are immortals or if they just have healing powers. So I chose othes. Yes. Definitely check it out. Deadpool probably would work as well. He seems pretty indestructible. Lost is so good. Love that you're a fan. I thought Jacob as well, but I don't want to spoil anything specifically. Everyone should watch that show. 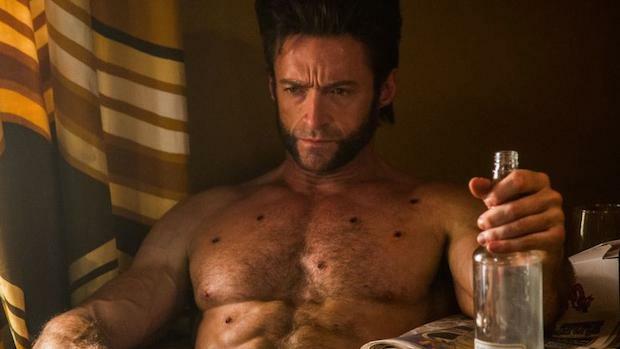 I have lost where I am in the X-Men franchise but love Wolverine, the character and Hugh Jackman ( Hubba-hubba). I really want to see this vampire film and have placed it on my very, very long list. I love Lost and was an avid watcher. I am one of the few, I guess, who liked the ending. There are probably too many X-Men films to be sure. 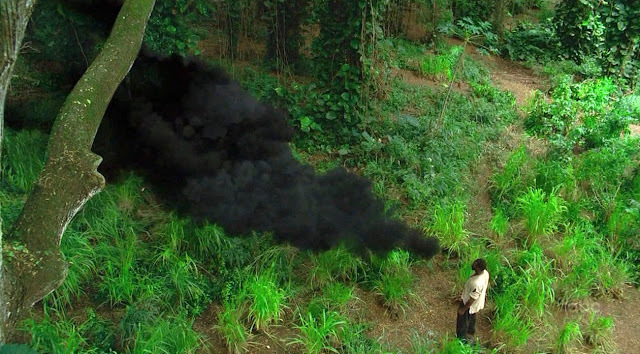 I love the ending of Lost. I never understood the hate. Very fitting, imo. I definitely agree with you on Dr. Lester & Wolverine. Let me ask you something about Being John Malkovich. Why did Dr. Lester say he had a speech impediment & why was his secretary, Flo, not able to really hear people correctly? I haven't seen What We Do in the Shadows. But I definitely want to. And I haven't watched Lost. I guess I'm putting that in my list of shows I need to watch (after I finish Six Feet Under, The Sopranos, Deadwood, Game of Thrones, & House of Cards). But I definitely remember when I was a lot younger, that my mom, my dad, & my grandparents used to watch Lost all the time. And one last thing. Malkovich? Malkovich. 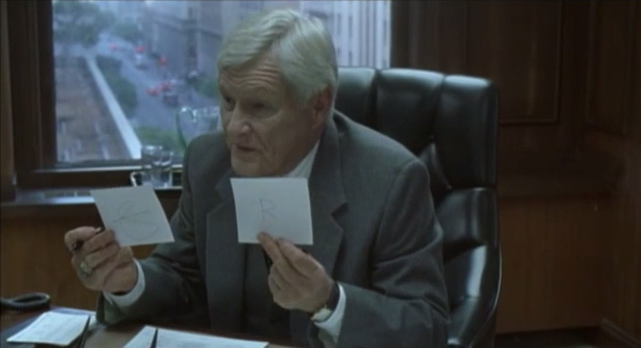 I think those aspects of Being John Malkovich are just writer Charlie Kaufman having fun with the awkwardness of job interviews and certain people in certain jobs. It is obvious that the secretary is a dimwit and that Dr. Lester has no speech problem. He just thinks he does because she's the one who talks to him and for him the most. Lost is my favorite drama series of all-time, network or cable. Period. It hooks into me like nothing else. Oh. I never really thought of the whole Dr. Lester situation that way before. Thankfully, I just realized What We Do in the Shadows is On Demand. So, I will watch it soon. Lost is that good? I guess I will have to check it out. I always remember my mom watching it every week. My mom didn't really like the finale though. I've only seen Being John Malkovich once and I didn't get that Mr Lester was immortal - it shines a light on some things. Great picks! I don't think Wolverine will ever die on screen, in print, he is ever present. I still haven't seen WWDIS - and I will as I love the director. Oh yeah. That's the whole thing with the portal. It allows him to live as someone else forever, jumping from one body to the next. Thanks! Wolverine can't be killed. It just won't happen. lol. And another lol for WWDITS. Hilarious. I did consider Wolverine too, so it's nice to see him pop up here. I've been wanting to see What We Do in the Shadows. It looks very interesting and funny.